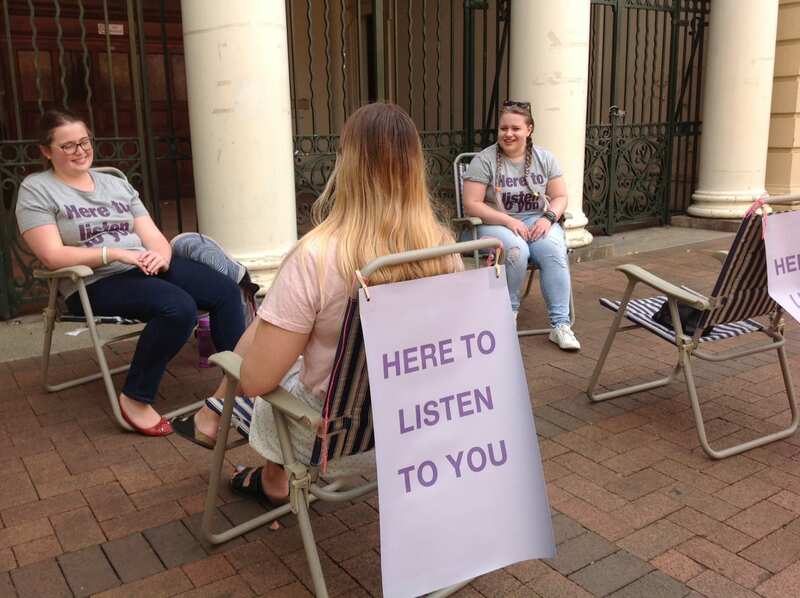 Associate Professor John Malouff, together with some graduates and students, have launched a new social support initiative in Armidale. Every Saturday, two trained volunteers sit in front of the Old Courthouse from 11 to noon and invite passersby to stop and talk about what’s on their mind. The volunteers mostly listen. The purpose of the service is to provide members of the community with social support. Image: Emily Fraser and Angie Yashchuk at the very first “here to listen to you” event.